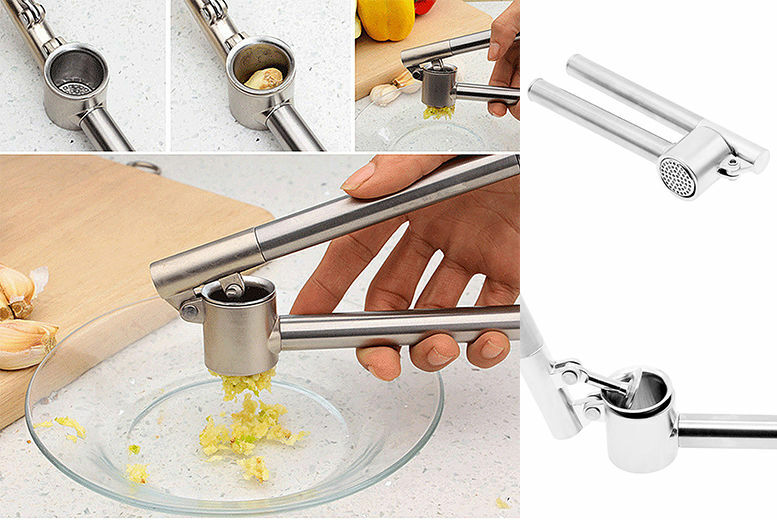 Upgrade your chef skills with this stainless steel garlic press! The perfect collection for any food fanatic. You can easily mince both unpeeled garlic cloves and peeled root ginger. Crafted from durable, stainless steel! Great at crushing delicious garlic cloves into tiny bits. The insert can be removed, making clean-up is super easy.